Life is full of Eureka moments, all it takes is for you to pause and enjoy them! I guess it also is got to do with the month we are in. December has always been a month when I pause more than before and become very nostalgic and ponder at the pace life seems to rush through. Day after day, is more reflected by the number of dishes that I seem to dish out. And not exactly by how much time I spend to remember the time that passes by. So when it came to letter G, I was thinking what I should make and decided garlic might be a good option to try. I arrived at Garlic Buns, after the Fruit Buns that were made. Somehow something got changed and I suddenly remembered Garlic Bread sticks from Dominos. Ever since I started eating Pizzas from Dominos, their breadsticks have become a frequent one as well. 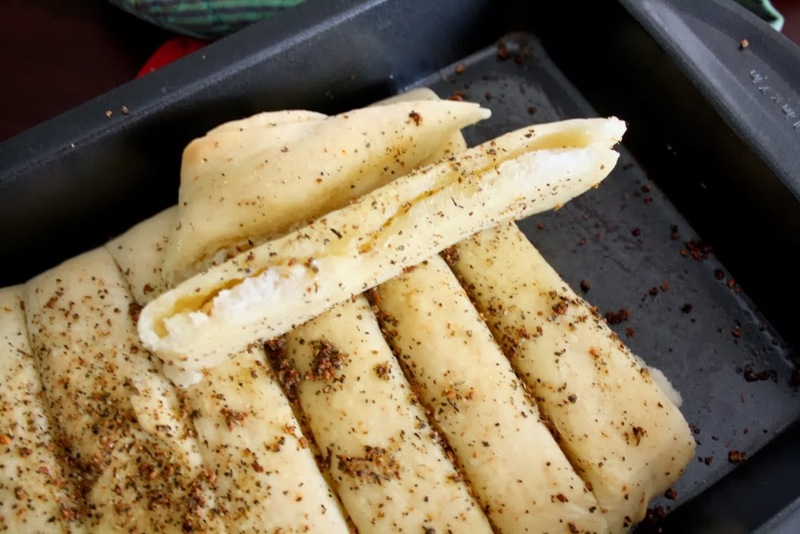 Their garlic breadsticks are amazing, much better than Pizza Hut Garlic bread. Though in terms of one trying to replicate at home, Pizza Hut’s Garlic Bread is a breeze, while Dominos surely packed a punch. 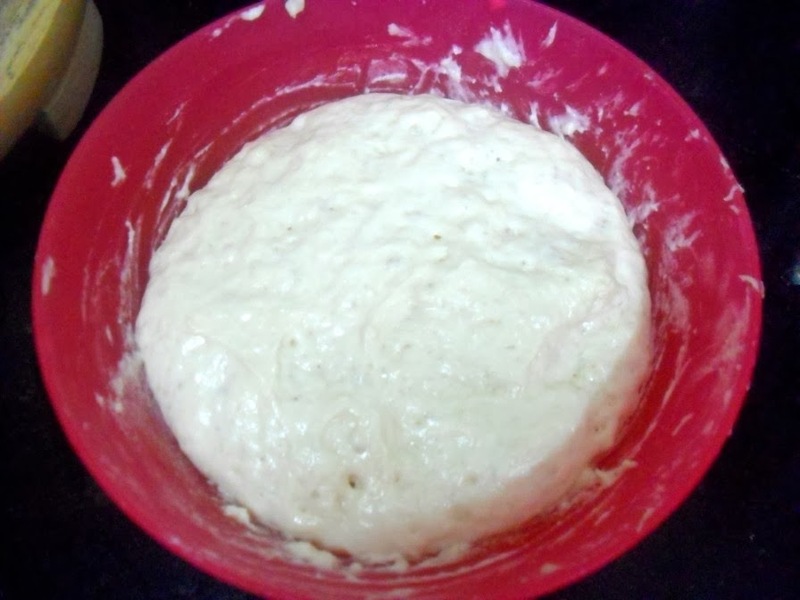 creating this bread at home. That full bottle got beyond date and I had to throw it off. told me that mine is much better than Dominos. Infact I felt it as well. 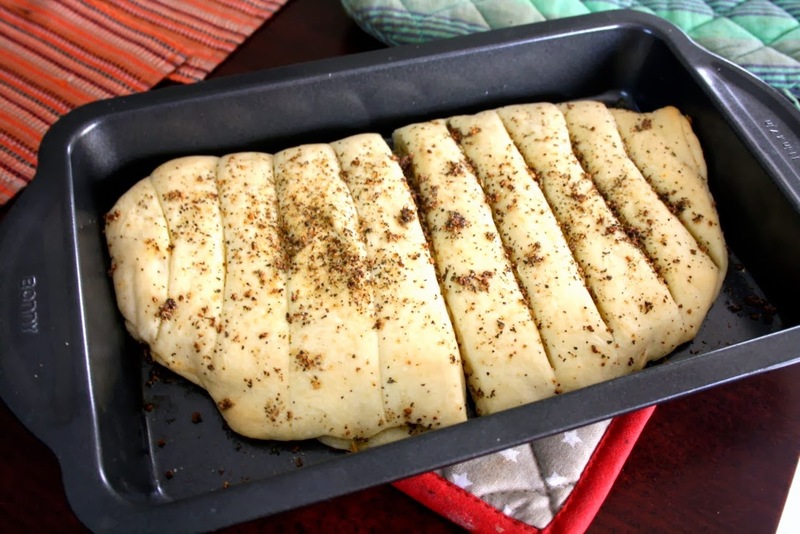 oregano spice mix over the entire bread. Everything was done perfectly. 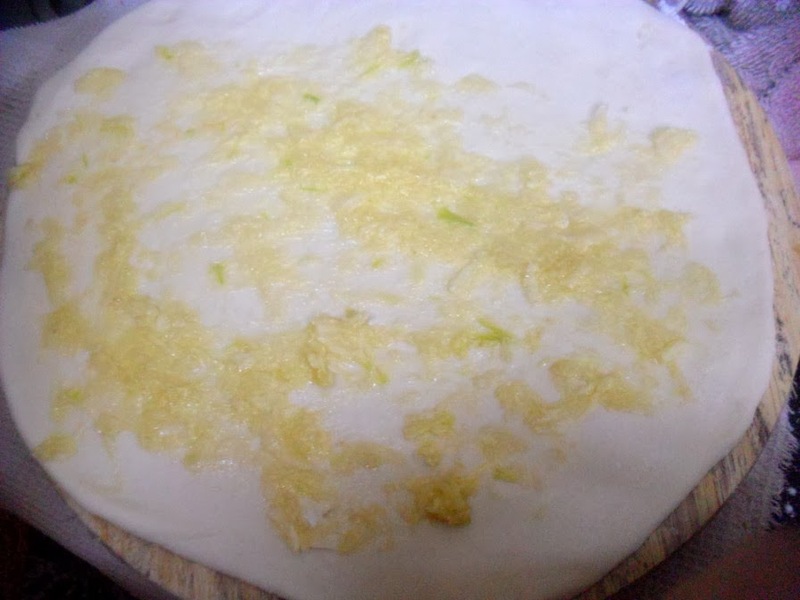 The dough rose to the occasion so well. 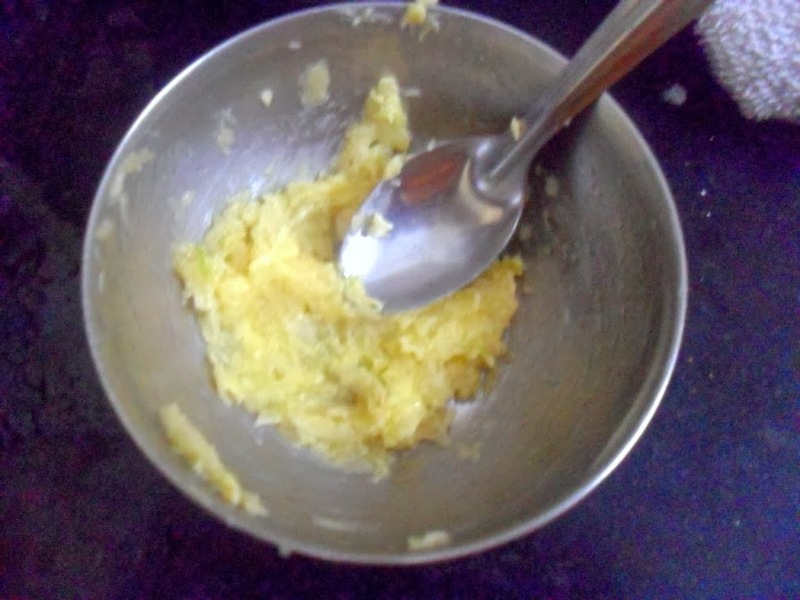 I had minced and crushed garlic along with butter and salt. And I had stuffed Mozzarella cheese and Cheddar Cheese in between. Now what’s there not to love in this bread? Konda couldn’t keep off from the tray and even Peddu loved it. This is something I can see myself baking more often. I had saved up Dominos spice mix sachets when we ordered last, so I used that up on this. 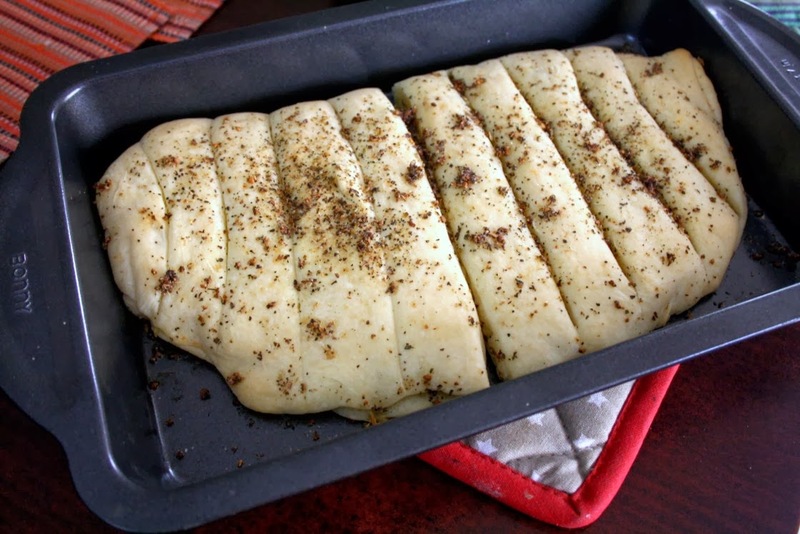 Else you can use Oregano spice mix. And I literally went over the board about sprinkling olive oil over the done bread. The result was so amazingly soft and delicious. 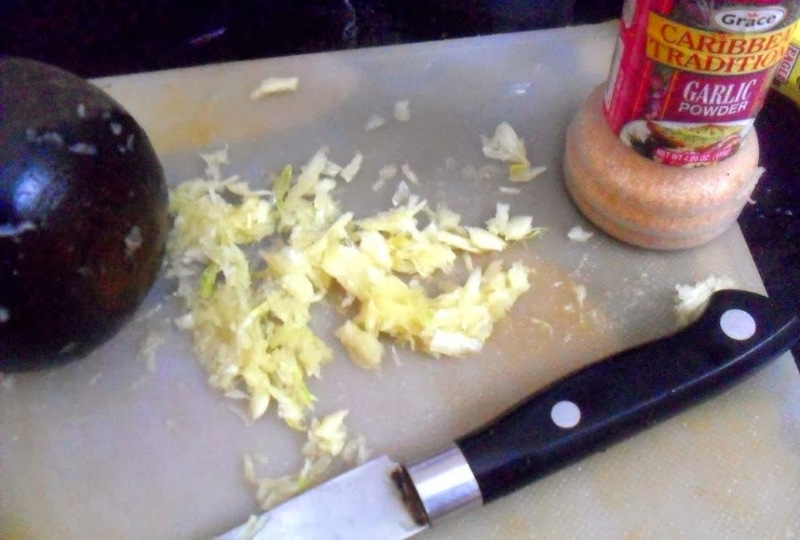 Peel and crush the garlic, make a paste of it and mix with soft butter and salt. Keep it aside. 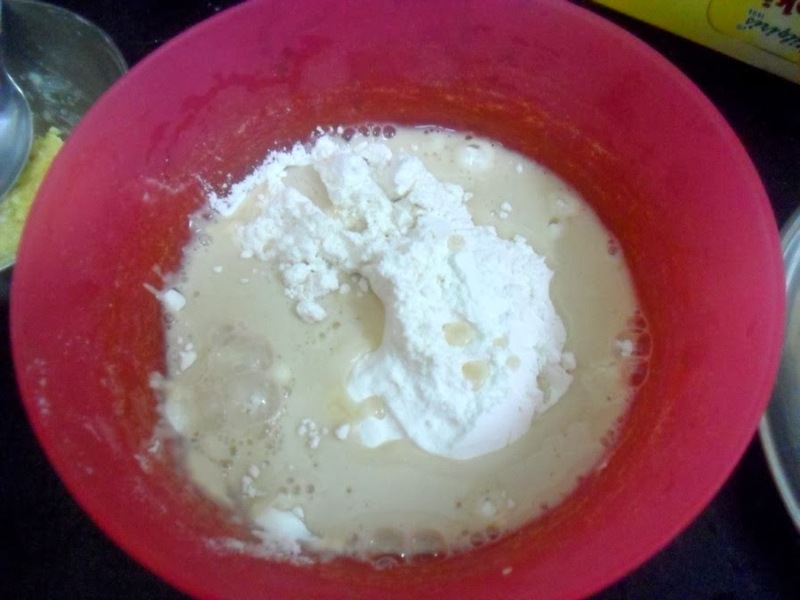 Proof the yeast with warm water and sugar. Keep it covered till it froths. 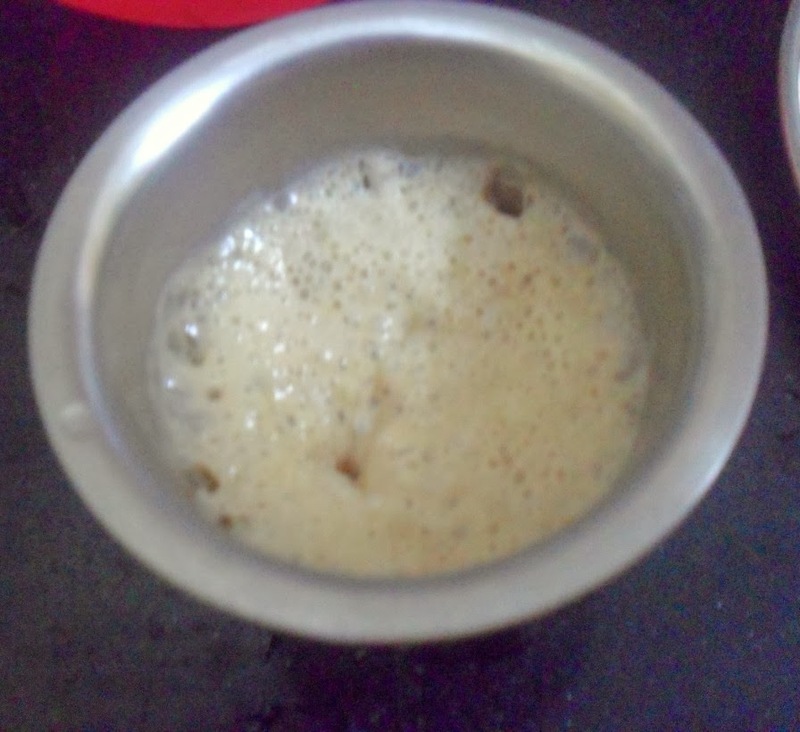 You can MW water for 30 secs and add the yeast. 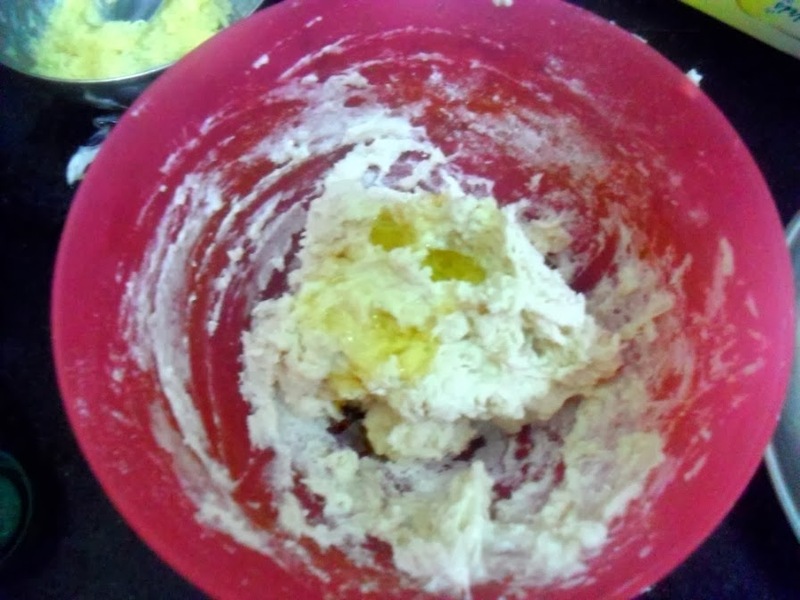 In a bowl, take the yeast and add a cup of flour, 1 tbsp of Olive Oil, knead well. 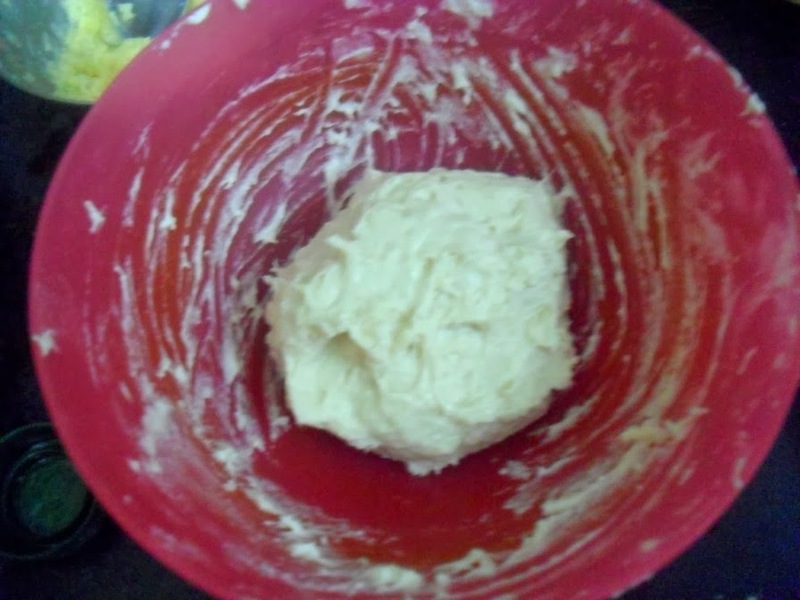 Continue mixing until the flour is all blended in, then cover and let rise until doubled. 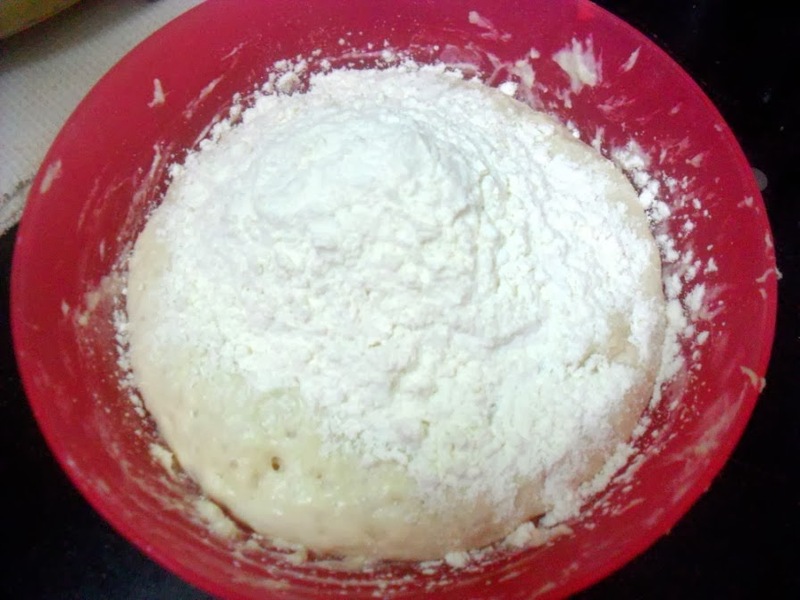 Now that you have a sponge, add another 1/2 cup flour, salt to taste. 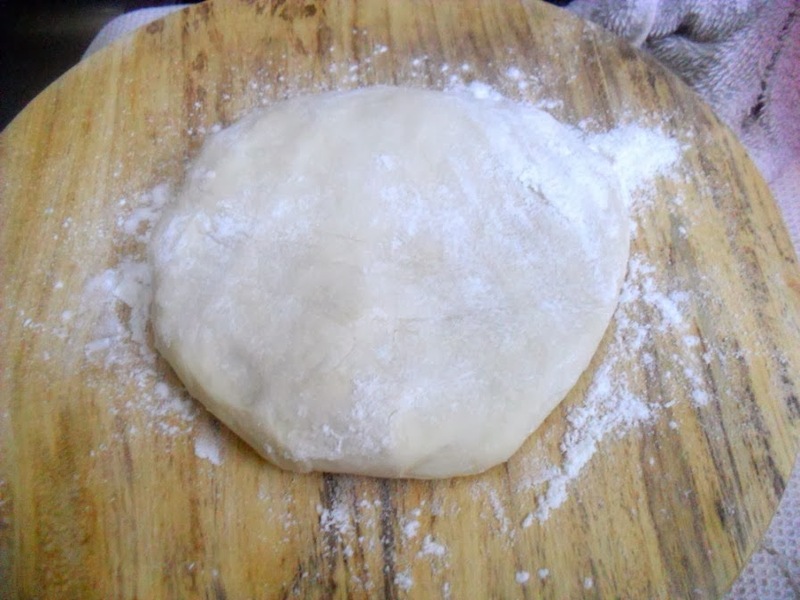 Knead for around 5 minutes until you have a smooth dough. It will still be very wet. Let it rise again until doubled. Dust and roll out again to get a disc. Spread the garlic spread over it, making sure to cover only the center part. 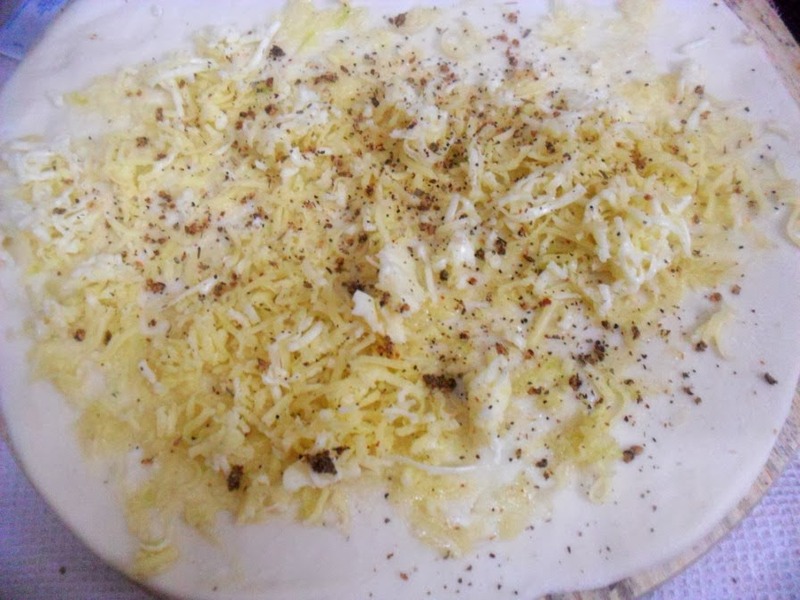 Then sprinkle the grated cheeses. Bring the top form over, towards you to cover the lower part. 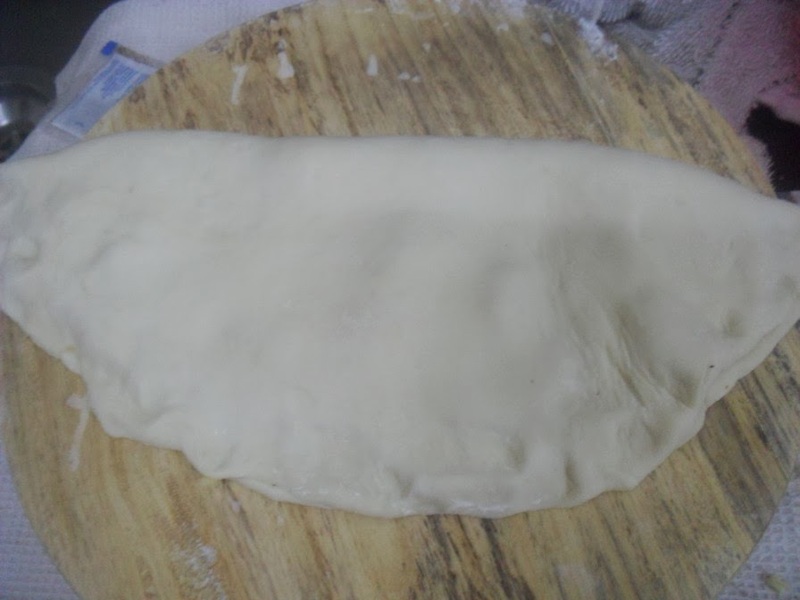 Seal the sides well and place on a well greased baking tray. 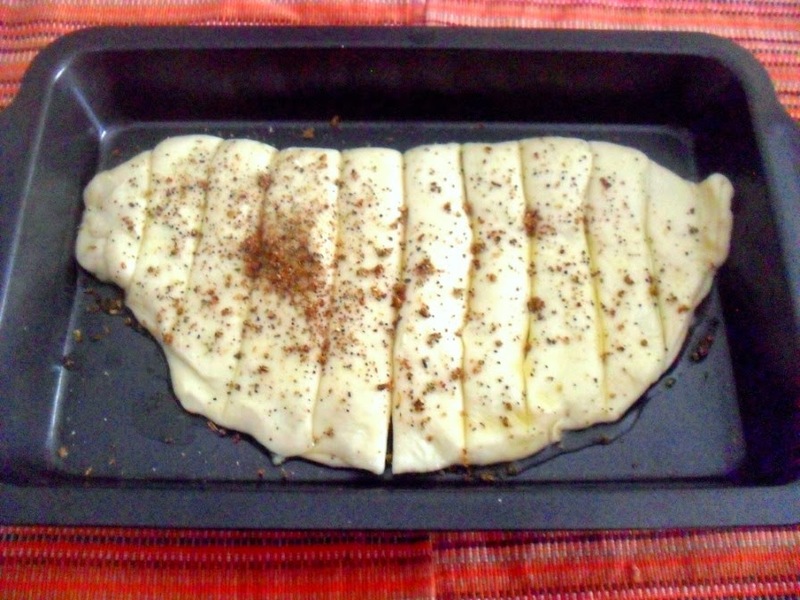 Brush 1 tbsp olive oil on top and sprinkle Domino’s seasoning or oregano all over the top. Cut into strips with a pizza cutter and bake at 185 C, until browned on top, about 15 minutes. Remove and again again brush with 2 tbsp Olive oil all over the bread and bake it again for 5 mins. The top looks almost golden with a crust. My first rise was almost an hour as the climate was little chill. I almost used up 5 -6 tbs of Olive Oil over the top. 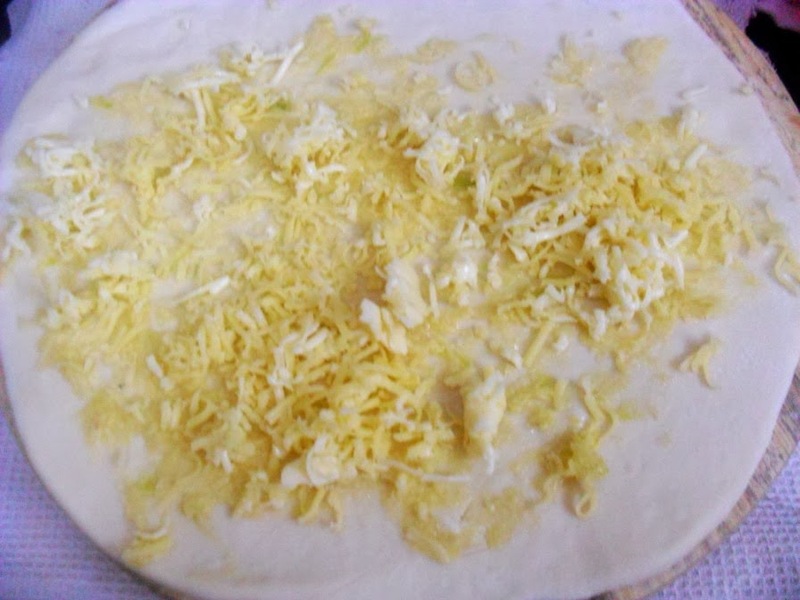 You can skip the cheese in the center. Be liberal with the oregano, this really gives the taste. 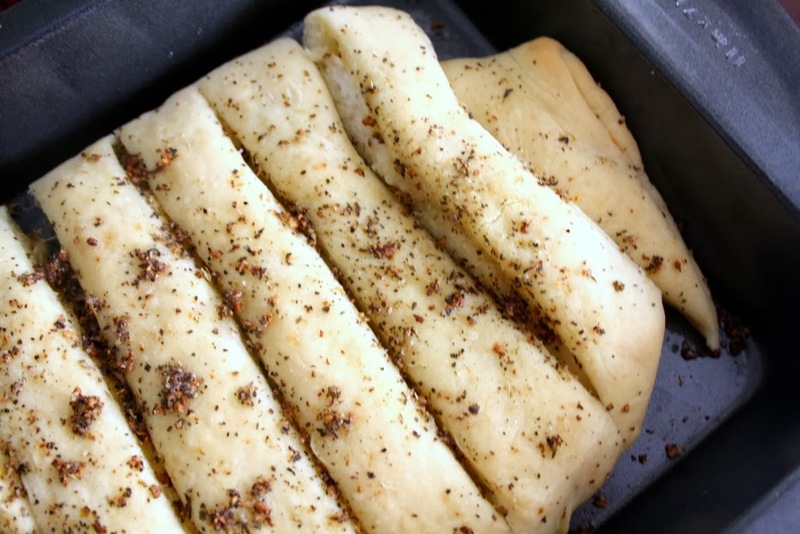 Absolutely delicious looking bread sticks.. yummy!! is it ok if I use regular oil instead of olive oil?? Riddi No regular oil will not give the same effect as Olive Oil.